Rigorous workouts, strict diet plan and a super charming smile are some of the attributes of this amazing actor. With a physique to die for, John Abraham truly is a fitness inspiration for the youth. With a physique to die for, John Abraham truly is a fitness inspiration for the youth. The handsome, dashing and super fit, John Abraham turns 46 today and it is unbelievable! John Abraham is popularly known as the Gym God and this is title apt for him. Even at the age of 46, John does not look a day over 25. It goes without saying that John Abraham truly is a heartthrob for all the women out there. Rigorous workouts, strict diet plan and a super charming smile are some of the attributes of this amazing actor. With a physique to die for, John Abraham truly is a fitness inspiration for the youth. Back to training. No rest for the wicked !!!! Recently, Shilpa Shetty Kundra was seen doing sets of tricep dips with her son Viaan Raj Kundra on her lap. Broad bulky shoulders, strong biceps, six-pack abs and muscular legs; John Abraham has got it all! The credit for his extremely fit physique goes to his dedication and sheer passion for maintaining his body. John Abraham loves to work out and hitting the gym is like a child's play for him. The actor believes in dividing his workout sessions between two muscle groups - major and minor. He focuses on two body parts in a day. John Abraham exercises at least four times a week and also takes rest twice a week. His days are divided into chest and triceps, back and abs, cardio and abs, legs, and shoulders and biceps. John Abraham assigns each of these sets to one particular day. Besides particular exercises concerning those body parts, walking and running is also a part of his fitness regime. John cycles for at least 20 minutes every day to strengthen his leg muscles. 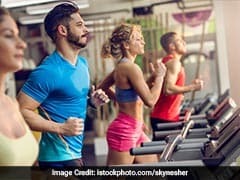 After the workout, he makes sure that he goes for running or brisk walking for 20 minutes. John Abraham's entire workout plan basically involves cycling, running, exercises with dumbbells, crunches, leg raises, squats and lunges. So now we know that John Abraham has an extraordinary physique through some ordinary exercises but of course a lot of effort goes into it. Truly inspirational! John Abraham sticks to a balanced diet with equal proportions of both vegetarian and non-vegetarian foods. He takes around 5-6 meals a day and consumes a high protein diet. He also consumes carbs burns almost 5000 calories a day through work out. For breakfast, he takes a cup of black coffee or green tea along with 4 egg whites or cornflakes or wheat flakes or brown bread. Green tea/black coffee boosts metabolism and is best when consumed before workouts. His diet for the rest of the day includes chicken, fish, dal, roti, sprouts, curd, sabzi etc. For evening snacks, he takes fruits, egg whites, and tea. 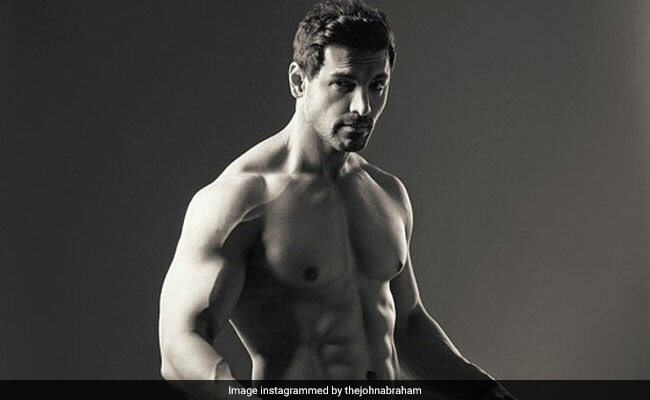 With the simple fitness mantra of 'Stick to the basics', we can say that John Abraham shall always remain the undisputed gym god and flag bearer of fitness.